A fresh bagel with a shiny, crisp crust and a chewy, flavorful inside is a thing of beauty. Unfortunately, the crusts toughen and the bagel loses moisture within hours of coming out of the oven. You may not be able to exactly mimic the appeal of a just-baked bagel, but you have multiple options for keeping bagels as fresh as possible. The best tasting and freshest bagel comes directly from a bakery that makes them in the back room. And the most healthy bagels are those that are on the smaller rather than the larger size. 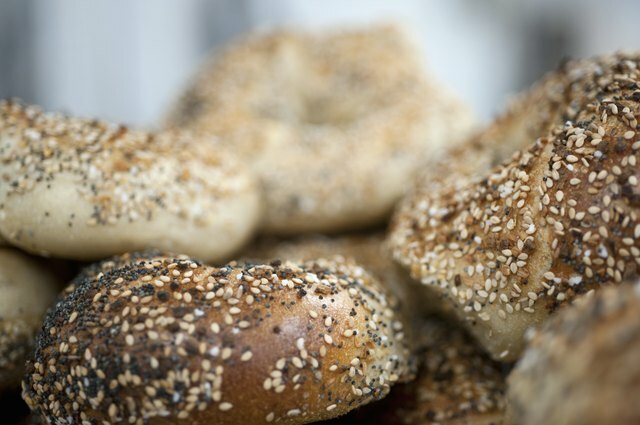 Bagels can range from about 100 calories each for a small one to upwards of 400 calories. 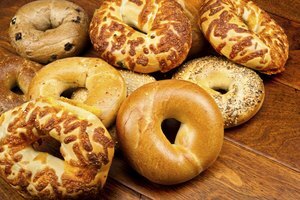 To keep bagels on the healthy side and to avoid calorie overload, buy smaller bagels, choose whole wheat varieties and skip the cream cheese. Although refrigerators keep food fresh, they also have very low humidity. That lack of moisture keeps foods from going bad, but it also dries out bagels more quickly than the air at room temperature. For the freshest bagels, place them in a paper bag where they have some protection again drying out but where the crust can remain crisp. The bagels will last one to three days. If you then put the paper bag inside a plastic bag, the crust will soften, but the bagel will stay soft inside for four to five days. If you know you won't be able to eat all the bagels you buy within a day or two, freeze a few right away when you get home. The fresher the bagels are when you freeze them, the fresher they will taste when you take them out of the freezer. 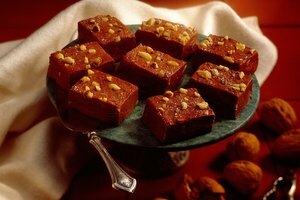 Wrap them individually, tightly in freezer-grade plastic or foil. The bagels will retain their quality for up to three months in the freezer, although they will stay safe to eat indefinitely. Simply eating a thawed bagel is not a good idea – it will be soft and squishy. But, as if by magic (but really from chemistry), toasting makes stale bagels softer. Heating a bagel allows the starch molecules to activate from a rigid state caused by dehydration or freezing. If you've pre-sliced your bagels before freezing them, simply pop the frozen slices into the toaster. 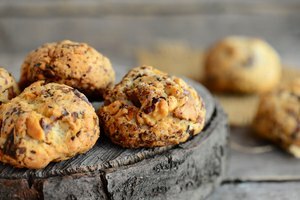 The advantage of this method is speed, but the disadvantage is that you'll lose the contrast between the bagel's crispy exterior and soft interior. 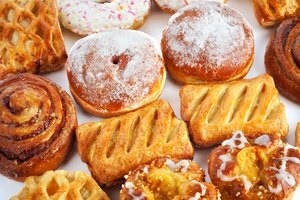 Oven toasting revives bagels effectively, whether they have been out on the counter for a few days, stored in the fridge or stored in the freezer. For bagels within three days of freshness, heat them whole for 4 to 5 minutes in a 375 degree Fahrenheit oven. For bagels older than three days, run them under hot water for 1 second, then place them in the oven the same as you would for less-stale bagels. The outer layer of water crisps up the crust while the inside softens.